Reports have begun to circulate within the B.C. wine industry that winemaker Ross Wise will leave Phantom Creek Estate Winery to join Black Hills Estate Winery at the end of the year. My contacts tell me that the change has already been announced internally at Black Hills, which is probably why the news has leaked before an official announcement. It is hard to keep a lid on such a momentous appointment. Black Hills Estate Winery has succeeded as a producer of consistently fine wines for two fundamental reasons. First, the vineyard is very good. The founders in 1996 planted the right varietals in a good piece of dirt just off Black Sage Road. Viticultural practices there have been, and continue to be, sound. Second, there has always been a steady hand at the winemaking tiller, with none of the churn one has seen elsewhere. Senka Tennant made the wines from 1999 through 2007. When the founders sold the winery, she was succeeded by Graham Pierce who made succeeding vintages until moving this summer to Time Winery in Penticton. Last summer, Black Hills changed ownership for the third time, which Andrew Peller Ltd. acquired Black Hills. I believe Graham left for personal reasons unrelated to Peller, since he still consults to Black Hills. The winemaker changes at Black Hills will raise eyebrows. The head winemaker beginning in December will be Ross Wise. He comes to Black Hills after finishing his third vintage at Phantom Creek Estate Winery, which is scheduled to release its first wines next year. The winemaking this vintage at Black Hills will be handled by Elaine Vickers. 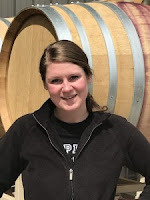 The former winemaker for Blasted Church Vineyards, she joined Black Hills in February on a one-year contract when Black Hills enologist Tamara Feist went on maternity leave. Elaine will work and report to Craig McDonald, the Ontario-based vice-president of winemaking at Peller. She will also be working with consultant Graham Pierce. The bottom line is that Peller has taken steps to keep quality and practice consistent at Black Hills, while hiring a new head winemaker who can raise the bar. Ross’s Phantom Creek wines, which I have now tasted twice, are excellent and will turn heads when they are released. Some background on the winemakers taking Black Hills forward. Born in Ontario in 1976, Elaine Vickers lived in Abbotsford during her high school years and then got a master’s degree in molecular biology at the University of Victoria. On graduation, she moved to a job at Vancouver General Hospital while pursuing another passion: playing Ultimate Frisbee. Her interest in winemaking began when she worked at a winemaking store while she was an undergraduate. After moving to Vancouver, she worked weekends in a wine store and began taking Wine & Spirits Education Trust Courses. After job shadowing another winemaker, she changed careers. In 2009 she went to the University of Adelaide for a graduate diploma in enology. She returned to Canada in 201o, working the harvest at the Jackson-Triggs winery in Oliver and then joining the cellar team at Blasted Church. She became head winemaker there in 2014 and moved to Black Hills early this year. New Zealand-born Ross Wise joined Phantom Creek in September, 2016, as the fulltime winemaker. A 2005 enology graduate of Australia’s Charles Sturt University, he started his career as a vineyard supervisor at Felton Road Winery in Central Otago, and moved on to the cellar at the Grove Mill Winery in Marlborough before coming to Canada in 2006. He became an assistant winemaker at Flat Rock Cellars in Ontario, becoming the winemaker there in 2009 (after two vintages as assistant winemaker back at Grove Mill). Many good wines arrive at my door to be tasted and then shared with guests over dinner. Occasionally, a wine will receive a spontaneous comment of appreciation. River Stone Estate Winery’s 2017 Sauvignon Blanc drew a wow from two guests! It is, indeed, one of the best white wines I have tasted this year. The rest of the River Stone portfolio is solid as well and all the wines drew positive comments. I included the winery in my 2017 book, Icon, for its signature Bordeaux blend, Corner Stone, a comparatively affordable wine for anyone assembling verticals of cellar-worthy wines. Here is an excerpt that provides background on the winery and owner/winemaker Ted Kane. Ted Kane had Corner Stone in mind back in 2003, when he began planting the River Stone vineyard on Tuc El Nuit Drive, just outside Oliver. In the French tradition, he planted Bordeaux varietals—Merlot, Cabernet Sauvignon, Cabernet Franc, and Malbec—in the proportions he believed he needed for his blend. River Stone Pinot Gris 2017 ($20.90 for 266 cases). This wine was fermented in stainless with a commercial yeast chosen to enhance the flavour. The result is a wine with aromas of pear and bananas and layers of fruit on the palate – pear, peach and apple. A well-balanced touch of residual sugar adds to the generous texture. The finish lingers. 92. River Stone Sauvignon Blanc 2017 ($21.90 for 254 cases). Fermented in stainless steel, this is a dramatic wine. It comes on stage with herbal aromas mingled with lime, gooseberry and grapefruit. In the glass, the fruit flavours are intense, with lime mingled with passion fruit and gooseberry. Bright acidity gives the wine a tangy, refreshing and persistent finish. 93. River Stone Malbec Rosé 2017 ($22.90 for 350 cases). The technical sheet for this wine puts the blend at 90% Malbec, 10% Pinot Gris and 5% Merlot. The math may be off but the wine – a signature rosé for River Stone – delivers at least 100%. It begins with a fine dark hue and aromas of strawberry, cherry and pomegranate. Those fruits are echoed on the rich palate. The wine has a dry finish. 91. River Stone Merlot 2015 ($23.90 for 500 cases). This is bold, dark wine with enough stuffing to carry the 15% alcohol the 2015 vintage delivered. The wine was aged about 14 months in French barrels (33% new). It has seductive aromas of black cherry and black currant which are echoed on the palate, mingled with plum and vanilla. 92. River Stone Stones Throw 2015 ($28.90 for 860 cases). This is a blend of 69% Merlot, 21% Cabernet Franc and 5% each Petit Verdot and Malbec. The wine was made with 80% whole berries, fermented in both small stainless steel tanks and small fermentation totes, thus maximizing skin contact. The wine was aged about 14 months in French oak (33% new). It has aromas of cassis, black cherry and cedar. Full on the palate, the wine delivers complex flavours of dark fruit mingled with chocolate and vanilla. Firm tannins suggest this is a good wine for medium-term aging. 91.
ormal"> River Stone Corner Stone 2014 ($34.90 for 300 cases). The blend is 27% Merlot, 27% Cabernet Franc, 20% Cabernet Sauvignon, 18% Malbec and 8% Petit Verdot. Made in an exceptional vintage, this is the first Corner Stone when the two Cabernet varietals totalled 47% as the winemaker nudges the style close to Château Cheval Blanc. The wine was aged 18 months in French oak (33%), with the final blend made after aging. This elegant and polished wine has aromas and flavours of black cherry, black currant and sage. The fruit is sweet and mingled with spice, chocolate and coffee. 93. A lot of eyebrows were raised in June when Laughing Stock Vineyards hired Nikki Callaway, a star winemaker star formerly at Quails’ Gate Estate Winery and, before that, at Mission Hill Family Winery. All are producers of quality wine. However, the explanation behind the move likely relates to the size of the various wineries. Laughing Stock produced about 10,000 cases in 2017. Quails’ Gate is about 10 times larger. At Laughing Stock, working with executive winemaker David Enns, Nikki gets to focus on comparatively small lot production. She also retains the possibility of resuming a big-winery career because Laughing Stock was taken over last year by Arterra Wines Canada Ltd. That is the big national wine producer owned by the Ontario Teachers Pension Fund. The brands in the group include Jackson Triggs, Inniskillin, Sumac Ridge and See Ya Later Ranch. “I convinced Nikki to apply,” David admits. Neither he nor Arterra’s national winemaker were happy with the calibre of candidates they attracted when Arterra began advertising for a winemaker to work with David. However, he and Nikki long have been members of a winemakers’ tasting group and he was familiar with her qualifications. In the Okanagan, nearly all the Arterra brands are made in the big winery complex north of Oliver. Laughing Stock, however, will continue to be made at its Naramata Road facility, retaining the cachet that its premium wines have earned since the winery was launched in 2003 by David and Cynthia Enns. Arterra has given them a two-year contract to remain with Laughing Stock. They sold the winery because they had no successors in their family interested in taking over. But there was more to it than that: Arterra brings resources that will allow the perennially sold-out Laughing Stock to increase production and add a few more wines to the portfolio. Laughing Stock has long made a top-flight Viognier from its own Perfect Hedge Vineyard in Osoyoos. It now has the possibility of adding a white Rhone blend to the portfolio with Roussanne and Marsanne from an Arterra vineyard south of Oliver. Laughing Stock Pinot Gris 2017 ($19.95 for 1,645 cases). Complexity was built into this wine by fermenting 55% in neutral oak, 30% in stainless steel and – for texture – 15% in concrete eggs. It begins with aromas of citrus, melon and Asian pear. These are echoed in the flavours. The texture is rich but the finish is dry. 91. Laughing Stock Viognier 2017 ($24.99 for 379 cases). This is a generous and rich wine from grapes grown in the winery’s Osoyoos vineyard. Forty percent was fermented in neutral French oak, 30% in stainless steel and 30% in concrete eggs. In the glass, it presents dramatic aromas of apricot, peach and orange. On the palate, there are flavours of stone fruits, guava, passion fruit and vanilla. The flavours coat the palate and the finish persists. 92. Laughing Stock Blind Trust Red 2016 ($28.99 for 2,050 cases). This blend is the little brother to the winery’s flagship Portfolio but there is no inferiority here. It is just a blend for more immediate consumption while Portfolio ages. This wine, aged 15 months in French oak, begins with aromas of black cherry, chocolate and cedar leading to flavours of plum and black currant. The long, silky tannins add the wine’s approachability. The actual blend is hidden under the capsule but, for the impatient, here it is: 45% Merlot, 24% Cabernet Sauvignon, 22% Malbec and 9% Cabernet Franc. The final blend was topped up with three percent of Portfolio. 93. Laughing Stock Syrah 2016 ($36.99 for 1,048 cases). There is five percent Viognier in this blend, co-fermented with one lot of Syrah in stainless steel. A second lot of Syrah (22% of the entire volume) was fermented in 500-litre open-top French oak puncheons. The two lots were blended and barrel-aged 16 months in French oak (36% new). The Viognier lifts perfumed and floral aromas, along with hints of delicatessen meats. On the palate, there are flavours of black cherry, plum and fig with a hint of pepper on the finish. The texture is generous and the finish lingers. 93. Now in its second season, The Chase Wines has emerged as a must-stop for wine tourists in Lake Country, with its solid wines, its spacious tasting room and a bistro with ambitious menus for lunch and dinner. It is one of two wineries being developed by Edmonton businessman Dennis O’Rourke. The second winery, O’Rourke Family Vineyards, will not be open for at least two more years. The massive barrel cellar, tunnelled into granite on a hill overlooking vineyards and Okanagan Lake, is ready for the storage of Pinot Noir and Chardonnay but the associated winery is still being designed by teams of architects. No wine has yet been made for O’Rourke Family Vineyards. That production will be dedicated to premium Pinot Noir and Chardonnay but winemaker Adrian Baker believes the vines need to be a little older before he begins making those wines. Between them, the two wineries have 110 acres under vine. Only 10 acres is six years old and 30 acres is five years old. The mandate at The Chase, on the other hand, is the production of wines that are fresh and aromatic. In the 2017, the winery made 5,500 cases of wine. Most of it will be sold at the wine shop, to The Chase’s wine club and to the year-round bistro, which has ambitious menus for lunch and dinner. Adrian, a New Zealand native, was recruited in 2013 to manage both of the O’Rourke projects. “I trained in molecular biology and biochemistry in Wellington, then after a mid-20s crisis and a bit of travel, went back to school for winemaking at the University of Adelaide,” Adrian says. He joined Craggy Range Winery in 2001, a prestigious New Zealand winery, and soon became the senior winemaker for cool climate varietals. His early knowledge that there even was a wine industry in British Columbia likely came from Craggy Range owner Terry Peabody, who had run a truck manufacturing company in Kelowna in the 1990s. “I came to B.C. in July, 2010, on a reconnaissance mission, to see if it we could create an adventure for our young family,” says Adrian, the father of four home-schooled children. “I came back at harvest time to do some consulting for a prominent winery.” He liked what he saw in the Okanagan and in April, 2011, came here permanently, first to begin developing 50th Parallel Estate Winery and then, two years later to join the nearby O’Rourke project. The current releases at The Chase include the debut 2015 Pinot Noir, made well before there had been time to build a processing facility. 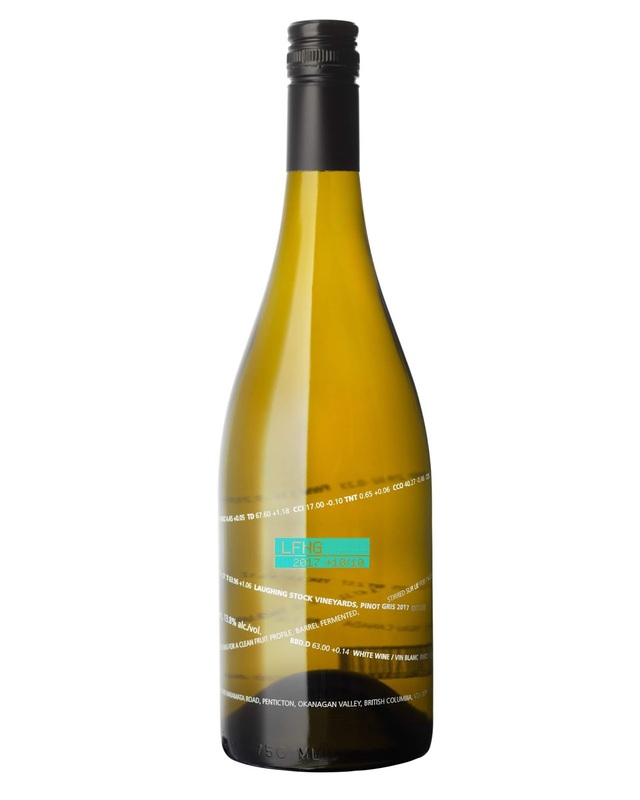 That wine, and a few whites not in the market, were made in what Adrian calls “a derelict picker’s shed.” Coincidentally, he had earlier made 50th Parallel’s debut wines in a tractor shed while a winery was being built. In both cases, the wines turned out well. No doubt, generations of Burgundy vintners have laboured under similar circumstances. The 4,000-square-foot Chase winery – Adrian made the 2016 wines in it while it was still under construction – is a well-equipped, modern winery. One of the white wines he is making at The Chase is Grüner Veltliner, the Austrian white varietal. Initially, he planted a few acres to assess how well it would do in Lake Country terroir. The result has been so positive that The Chase now grows 10 acres of this vine. The Chase Riesling 2017 ($21). The house style for Riesling is dry (although there is an exception). This wine has aromas and flavours of lime and lemon with fine spine of minerality. 91. The Chase Pinot Gris 2017 ($18). This wine begins with aromas of citrus and pear, leading to flavours of pear and apple. The wine has a generous mouth-filling texture, the result of fermenting 25% in barrel; but is crisp and refreshing on the finish. 91. The Chase Gewürztraminer 2017 ($21). Adrian enjoys making Gewurzztraminer, and does so in a complex style: 40% is fermented in tank, 40% fermented in barrel and 20% is fermented on the skins. “I always say you don’t go half way with Gewürztraminer,” he says. “It is like getting half a tattoo.” This richly-textured wine begins with a dramatic aroma of spice and grapefruit, leading to flavours of lychee and citrus. 92. The Chase Rosé 2017 ($21). This wine presents with a vibrant rose colour. The aromas of strawberry and raspberry and flavours of strawberry, raspberry, rhubarb and a hint of red licorice. The finish is dry. 91. The Chase Chardonnay 2016 ($32). This is the winery’s first release of Chardonnay. It begins with a buttery aroma mingled with oak and fruit. On the palate, there are flavours of ripe apple and peach, with a persistent finish. 91. The Chase Grüner Veltliner 2016 ($28). The Chase is emerging as a major producer of this Austrian white variety. The wine, which was aged 13 months in barrel, has an appealing golden hue in the glass. It has aromas and flavours of melon with a hint of pepper – classic for this varietal. 92. The Chase Riesling Block 11 2017 ($26 for 150 cases). This wine is a deliberate exception to the house style: the wine has 20 grams of residual sugar nicely balanced with bright acidity. The wine has intense aromas and flavours of lemon, lime and green apple. There is a noticeable tension on the palate between the acidity and the residual sweetness, along with a long, long finish. 94. The Chase Pinot Noir 2015 ($30). The winery’s debut Pinot Noir, it wine was fermented with wild yeast on one-ton bins in a temporary facility. 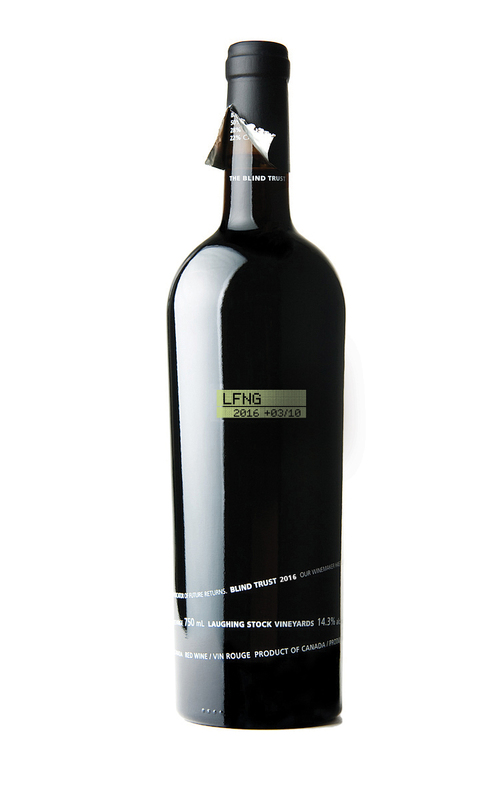 The colour is dark and the wine is full-bodied, with aromas and flavours of black cherry, prune and licorice. The finish is still firm. It has that character that Burgundians call barnyard. 91. The wines of Tinhorn Creek Vineyards have never been less than good and often, have been superb, particularly in past several vintages. One reason: The winery’s Andrew and Andrew show. No one would disagree with that. The poster child of better grape growing is Andrew Moon, Tinhorn Creek’s viticulturist (right). He arrived at Tinhorn Creek in 2008, after being trained and getting experience in his native Australia. Some of his peers now rank him among the best of the viticulturists working in the Okanagan and an excellent support for Tinhorn Creek’s winemaking team. In 2008, he joined the winemaking staff at Mollydooker Wines, a McLaren Vale winery that had been started in 2005 and has since made a reputation for its big red wines. He left there to join EauVivre Winery in the Similkameen Valley. In the spring of 2011, he returned to the southern hemisphere to work the 2011 vintage at huge Pernod Ricard operation in New Zealand. When that job was completed, he moved to France and spent six months, and another 2011 vintage, at Cave de Tain, a producer of Hermitage. On returning to Canada, he joined Andrew Peller Ltd. in mid 2012. He worked on the company’s VQA wines in Ontario but, having had a taste of the Okanagan, he applied when Tinhorn Creek did a six-country search in 2014 for a winemaker. The irony, of course, is that he is once again working for Peller because Andrew Peller bought Tinhorn Creek a year ago. So far, Peller has not shuffled key members of the team put in place by Sandra Oldfield. Fans of Tinhorn Creek wines can count on the Andrew and Andrew show to carry on. Peller initially is focussing its resources on the Tinhorn Creek vineyards, some of which need replanting. And, while Tinhorn Creek wines essentially are estate-grown, the winemaker in the 2017 vintage had access to fruit for Peller vineyards elsewhere in the Okanagan. Pinot Gris from the Hidden Terrace vineyard north of Oliver was blended into the 2017 Pinot Gris, adding flavour and complexity. Here are notes on the current releases, along with several other wines that I tasted with Andrew Windsor in late May at the winery. Tinhorn Creek Innovation Series Méthode Ancestrale 2017 ($34.99 for 125 cases). This is the first sparkling wine made at Tinhorn Creek; and it is made in the ancient manner. The Pinot Noir grapes were whole-cluster pressed and the juice was racked into neutral French oak barrels, to ferment with natural yeast. It was racked into stainless steel while it was still fermenting. The juice was cooled so that it could racked off the solids. Then, with two brix of sugar left, it was bottled and finished fermentation in bottle. The remaining lees give the wine a cloudy appearance and bready aromas and flavours, along with flavours of citrus and peach. Don’t look for this wine in the usual retail channels, but only in the winery and the associated Miradoro Restaurant. 90. Tinhorn Creek Pinot Gris 2017 ($18.99 for 8,700 cases). This has long been one of the Okanagan’s top Pinot Gris wines (in a field where there is plenty of competition). The juice of the pressed grapes is allowed a significant amount of skin contact to extract flavour and a slight golden colour. The wine begins with aromas of citrus, melon and papaya, which are echoed on the palate, along with notes of pear and apple. The finish is crisp. 91. Tinhorn Creek Gewürztraminer 2017 ($17.99 for 5,380 cases). The wine begins with aromas of ginger and grapefruit. On the palate there are flavours of lychee and grapefruit. A touch of residual sugar lifts the aromas and give the wine a rich texture. 90. Tinhorn Creek Oldfield Reserve Chardonnay 2016 ($34.99 for 286 cases). After the grapes were whole-cluster pressed, the juice was fermented with natural yeasts in barrels (33% new), where it finished malolactic fermentation. After a blend was assembled, the wine was divided between oak and stainless steel barrels and aged 17 months before bottling. The wine begins with aromas of marmalade and butter. The wine has a creamy texture, with flavours of citrus, ripe pear and nutmeg. The finish lingers. 92. 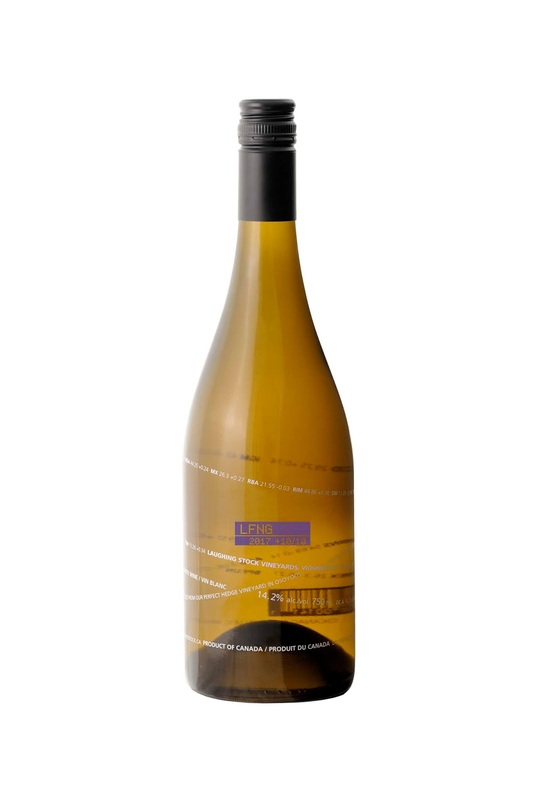 Tinhorn Creek Innovation Series White Pinot Noir 2016 ($35 for 125 cases). This is another small lot wine available only at the winery. The wine was fermented and went through malolactic in French oak barrels. This is a rich wine, with aromas and flavours of apple. The wine is something of a tour-de-force. 92. Tinhorn Creek Oldfield Reserve Rosé 2017 ($21.99 for 1,121 cases). This is made with Cabernet Franc. The grapes were harvested by machine at 4 a.m. when the fruit was cool; and remained in the picking bins for about 12 hours to pick up colour. Then the grapes were pressed gently and fermented with selected yeast. The hue is somewhat pale. The wine begins with aromas of herbs and strawberry, leading to flavours of watermelon. The finish is crisp and dry. 91. Tinhorn Creek Pinot Noir 2016 ($23.99 for 1,600 cases). The grapes – about 30% whole cluster - were fermented with indigenous yeast in small open top fermenters, with regular punch downs to extract colour and flavour. The wine was aged 10 months in small oak puncheons and another three months in tank before bottling. This is a fresh, pretty wine, with aromas and flavours of cherry and a touch of vanilla on the finish. 91. Tinhorn Creek Cabernet Franc 2016 ($23.99). This is a bold red, beginning with aromas of mint, sage and blackberry. The texture is concentrated, with flavours of black cherry, blackberry. The finish lingers. 91. Tinhorn Creek Oldfield Reserve Cabernet Franc 2015 ($31.99 for 784 cases). This wine was fermented with natural yeast and macerated on the skins for about 30 days before going into French oak barrels (30% new). After a year, the barrels of reserve wine were selected, blended and returned to barrel for another year. This is a dense, rich wine with aromas of black cherry and blackberry. On the palate, there are chewy ripe tannins and flavours of plum, fig and brambleberry. 93. Tinhorn Creek Oldfield Reserve Syrah 2015 (Not yet released). The grapes were co-fermented with Viognier skins and aged in barrel (35% new). The wine begins with aromas of dried apricot mingled with delicatessen meat and spice. On the palate, there are flavours of plum, fig and licorice. 92. Tinhorn Creek The Creek 2014 ($55 for 1,475 cases). This wine, released last year, is the ultra-premium successor to Oldfield Series 2Bench Red. The blend is 53% Cabernet Sauvignon, 19% Merlot, 17% Cabernet Franc, 9% Malbec and 2% Petit Verdot. The wine had a total of 24 months barrel age (French and Hungarian, 40% new). It begins with aromas of cassis and blueberry, leading to flavours of black currant, chocolate and spice. The long ripe tannins give the wine an elegant, polished texture. 94. Tinhorn Creek The Creek 2015 ($55; not released). The blend is 50% Cabernet Sauvignon, 20% each of Merlot and Cabernet Franc, 7% Malbec and 3% Petit Verdot. This wine reflects the hot vintage. It rich and plump with flavours of black cherry, black currant, plum and fig. 94. One can make a good argument for putting the 2014 The Creek down for longer cellaring than the sumptuous 2015. Monte Creek Ranch Winery, already making 18,000 cases a year, has embarked on a major expansion a little more than a decade after planting its first vineyards beside the TransCanada Highway east of Kamloops. Adjacent to its current winery, Monte Creek plans to break ground next April on a $6.5 million gravity-flow winery, taking advantage of the 40-foot cliff at the winery and tasting room. The new facility, with a targeted completion of June 2020, will be designed to handle Pinot Noir, the varietal that is the emerging focus at Monte Creek. The capacity will be 54,000 cases. Much of that Pinot Noir will be grown at Monte Creek’s recently acquired 92-acre property on the south bank of the Similkameen River, just east of Keremeos. “We are planting mostly Chardonnay, Riesling and Pinot Noir,” Monte Creek general manager Erik Fisher says. By next season, 16 ½ acres will be planted, mostly Pinot Noir. A shortage of vine material from nurseries is holding back the pace at which Monte Creek can plant. “We’re ordering for 2020 and beyond at this point,” Erik says. Monte Creek already has 70 acres under vine (not all in production yet) in its two Kamloops area vineyards – the 20-acre Lion’s Head Vineyard on the north side of Thompson River and the larger Monte Creek Ranch Vineyard south of the river. The booming winery sells almost half its wines from a very busy tasting room and restaurant on its property overlooking the TransCanada. This all started in 2007 when Gurjit Sidhu, a Fraser Valley blueberry grower and nursery man, bought a 900-acre ranch east of Kamloops. He was looking for a new blueberry site. When he found out too late that blueberries do not thrive in the Thompson Valley’s near desert, he decided to grow grapes. He was advised that vinifera grapes might be killed by winter cold in Kamloops. So, beginning in 2010, he planted the first, and so far, only major block of winter-hardy Minnesota hybrid grapes in British Columbia. The varietals include Marquette, Le Crescent and three members of the Frontenac grape family. Even though one of these varietals are familiar to wine consumers in British Columbia, the wines are selling well. Monte Creek hedged its bets, however, by planting a block of Maréchal Foch and. On the slope of Lion’s Head, Riesling, Pinot Gris and Gewürztraminer. With growing evidence that some vinifera varietals can survive in the Thompson Valley, the winery last year planted another 10 acres of vinifera (Pinot Noir, Chardonnay and Riesling) in the Monte Creek Ranch Vineyard. The Keremeos property has been, at various times of its history a ranch and an orchard. In recent years, it was producing hay. 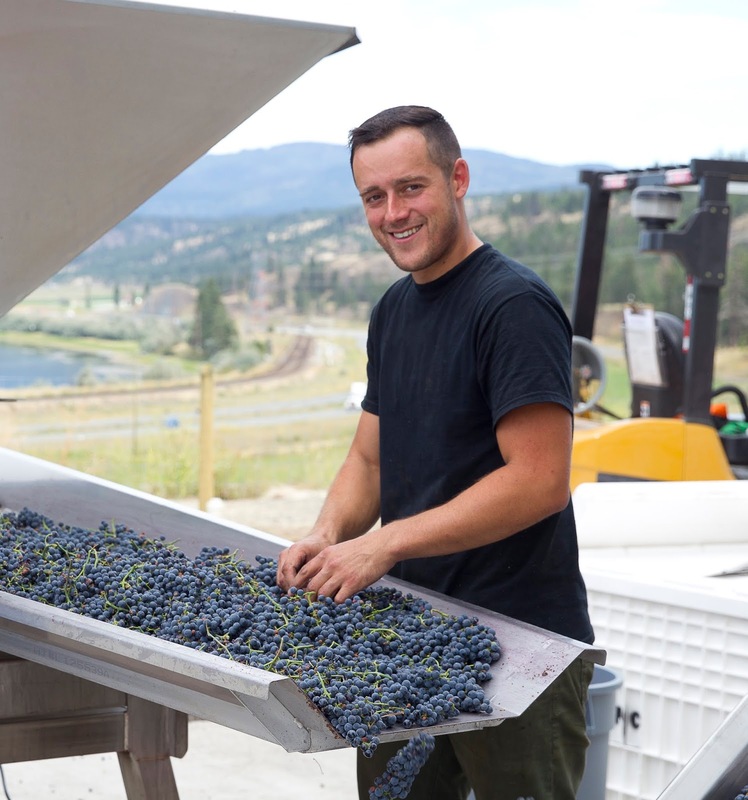 For advice on developing the vineyard, Monte Creek engaged Pedro Parra, the Chilean consulting viticulturist who has given extensive advice to Okanagan Crush Pad Winery. The soil has been mapped, with Parra analyzing 32 different soil pits – both to help with planting decisions and for laying out the irrigation. There is a logic to planting Pinot Noir here. “There is a considerable amount of limestone in some of those rocks, which we think will go a long way to producing premium quality Pinot Noir,” Erik says. The Monte Creek winemaker is Galen Barnhardt (right), a North Shuswap native with a science degree from Thompson Rivers University. He acquired a keen knowledge of wine while working in the restaurant industry. In 2009, Galen went to Brock University for a degree in winemaking. After a vintage in Niagara, he joined CedarCreek Estate Winery and was an assistant winemaker by the time he left in 2014 to work in Australia and then in Oregon. 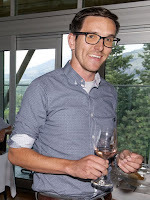 Erik had been following his career and was able to bring him back to the Thompson River Valley to finish off Monte Creek’s 2014 wines and make the 2015s and subsequent vintages. Here are notes on some of those wines. Monte Creek Riesling 2017 ($17.49). The wine begins with aromas of citrus. On the palate, there are flavours of lime and lemon. Bright acidity gives this wine a refreshing, dry finish. The wine will also cellar well. 90. Monte Creek Chardonnay Reserve 2016 ($24.99). This is a barrel-fermented wine (a small portion of the barrels were stainless steel). Only a third of the wine went through malolactic fermentation. As a result, the wine has good texture and a slight buttery note on the nose, with lively and refreshing flavours of apple and citrus. 92. Monte Creek Hands Up White 2017 ($15.99). This is a blend of 61% Frontenac Blanc, 23% La Crescent and 17% Frontenac Gris. The wine begins with fruity aromas leading to flavours of pear, apple and quince. A touch of residual sugar gives the wine a rich texture; but there is bright acidity to balance the wine. 90. Monte Creek Rosé 2017 ($17.49). This is made entirely with Marquette grapes. It is a robust rosé, both in color and in flavour. It begins with cherry aromas leading to flavours of plum and cherry. 88. Monte Creek Pinot Noir 2016 ($19.99). The wine begins with aromas of cherry mingled with a hint of oak. Medium-bodied, it shows bright berry flavours - cherry and strawberry. The wine has a silky texture. I recommend chilling the wine slightly. 88 - 90. Monte Creek Hands Up Red 2016 ($16.99). This is a blend of 82% Merlot, 8% Marquette, 8% Frontenac Noir and 2% Cabernet Sauvignon. 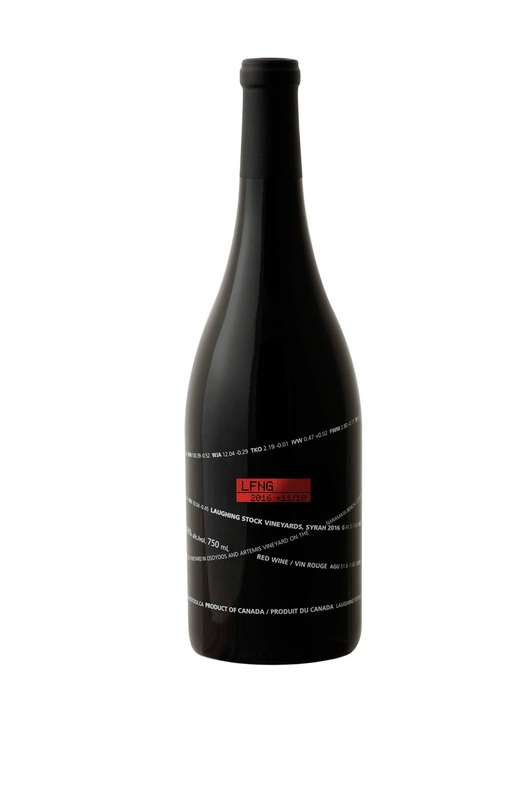 Full-bodied, the wine has aromas of black cherry and flavours of cherry, black currant, chocolate and spice. 90. Over the next five years, the sprawling Calona Vineyards complex near downtown Kelowna will be almost entirely rebuilt. Since Andrew Peller Ltd. took over the winery in 2005, there has seldom been a year when the new owners were not spending money on a facility that dates from the 1940s. In 2014, Calona’s cramped wine boutique was swallowed by the spacious and elegant Sandhill tasting room. With that change, the venerable Calona name began to disappear from the buildings and the labels. Conviction has now replaced Calona’s labels. The tasting room also stocks wines under the Peller and Wayne Gretzky brands, both part of the growing Peller stable in B.C. The effect of these changes and of the renovations will put some distance between Peller and the historic Calona brand. Both are wineries with a long history in B.C. Andrew Peller began in 1951 as Andrés Wines, with a facility in Port Moody. This winery closed only in 2005 after Peller took over the Kelowna winery and moved all production there. Calona was started by Giuseppe Ghezzi, an Italian entrepreneur (he had run a silk factory in Italy and a farm colony in Manitoba) who arrived in the Okanagan in 1931 with the know-how for making wines from cull apples. Short of cash, he got the support of Kelowna’s business leaders, notably grocer Pasquale (Cap) Capozzi and hardware merchant W.A.C. Bennett, the future premier and then president of the city’s Chamber of Commerce. They raised the money, provided management and, with Ghezzi’s son, Carlo, as winemaker, got the Okanagan’s first winery off the ground. The winery began making grape wines in 1936. Calona’s early success was assured when it began producing St. John sacramental wine for the Catholic Church in Canada on the initiative of a Kelowna priest, Monsignor W.B. McKenzie. When the Conviction labels were introduced in 2015, there has been an effort to commemorate some of that history. For example, Conviction Pinot Noir is sub-titled The Priest, referring to Monsignor Mackenzie. Calona had scored a major commercial success in the 196os by producing fruit flavoured wines modelled on what the Gallo Brothers were doing in California. However, the unfortunate image of plonk attached itself to the Calona label and nothing could shake it even after the winery began producing award-winning table wines. The Sandhill brand was created in 1997, successfully distancing that label from Calona’s image. Sandhill was recognized from the beginning as a producer of premium wines, an image increasingly important as consumers gravitated to drinking premium wines. That is why, when Peller decided to refresh the Calona wine shop, the company re-developed it as the Sandhill wine shop. Sandhill differentiated itself not just with premium wines, but with single vineyard wines. In recent vintages, that strategy has been amended with the introduction of “Terroir Driven” series wines. Those wines blend grapes from more than one of the vineyards under Peller’s control. It enables larger volume production of those wines. It also gives winermakers the tools to introduce more complexity to the blends. The Sandhill Small Lots wines, however, remain single vineyard wines. His successor, appointed in June, is Sandy Leier. Born in Kelowna in 1978, she joined the Calona winemaking team in 2006 after earning a chemistry degree at UBC Okanagan. Since then, she has been the lead winemaker for both the Calona and Wayne Gretzky Okanagan labels. Sandy leads a quartet of female winemakers at Kelowna winery. The others are Sydney Valentino, who began making the Conviction wines three years ago; Stephanie Van Dyk, right, who began her winemaking career at Summerhill Pyramid Winery in 2002; and Barbara Hall, who joined the group this summer after working at Chaberton Estate Winery, Burrowing Owl Vineyards and Church & State. Recently, Sandy and Stephanie led a tasting for me of a representative range of the wines they are making at the Sandhill and Friends winery. Here are my notes. Wayne Gretzky Okanagan 2017 Pinot Grigio ($14.99). Sometimes, Pinot Grigio on the label is more about marketing than style. With this wine, however, Sandy made a light and refreshing wine (12.7% alcohol) approximating the Italian Grigio style. It is a crisp wine with notes of citrus and peach. 91. Sandhill 2016 “Terroir Driven” Pinot Gris ($17.10). This is a blend of grapes from Peller’s Hidden Terrace Vineyard at Oliver and the King Family Vineyard on the Naramata Bench. “The King Family gives the wine the nice minerality while the fruit from Hidden Terrace is picked a little riper and it gives a nice rich palate,” Sandy explains. The wine has 13.8% alcohol, with rich flavours of pear and apple. 91. Sandhill 2017 “Terroir Driven” Pinot Blanc ($19). This has aromas and flavours of apples. By fermenting 30% of this in barrel, the winemaker has added weight to the texture. However, the finish still is crisp and refreshing. 91. Sandhill 2016 “Terroir Driven” Chardonnay ($17.10). Fifty percent of this wine was fermented and aged in French oak (half new). The wine has aromas of citrus and oak, leading to buttery and marmalade flavours. Good acidity leaves a finish of bright fruit. The wine is seriously underpriced for the quality. 91. Sandhill 2016 “Small Lots” Viognier ($25 for 522 cases). The grapes are from the Osprey Ridge Vineyard on the Black Sage Bench. The wine is almost fat in its ripeness with a texture so rich that I took it to be barrel-fermented (it was not). It has aromas and flavours of ripe apricots. 91. Conviction 2016 Sovereign Opal ($13.99). Sovereign Opal is an aromatic wine grape developed at the Summerland research station. It is grown on just one Kelowna vineyard and Calona/Conviction gets it all. The aromatics are dramatic, leading to mouth-filling tropical flavours of spice, lychee and lime. 90. Sandhill 2017 “Terroir Driven” Rosé ($18). This blend of Merlot and Gamay comes down on the side of intensity as opposed to the anaemic style that, unaccountably, seems to be in fashion. The wine presents with good colour in the glass. It has aromas and flavours of strawberry and cherry. 90. Wayne Gretzky Okanagan 2016 Cabernet Sauvignon Syrah ($16.99). The blend has slightly more Cabernet than Syrah. These two varietals marry well together. There is a hint of mint in the aroma along with black currant. On the palate, the flavours are a medley of deli meat spices, black cherry, black currant and fig. 90. Wayne Gretzky Okanagan 2014 Signature Series Shiraz ($29). Made with fruit from Osprey Ridge Vineyard, this co-fermented Syrah and Viognier won gold last year at Syrah du Monde competition. The aromas begin with black pepper and dark fruits. On the palate, it is plump and rich with flavours of black cherry, figs, dark coffee and dark chocolate. 93. Sandhill 2016 “Terroir Driven” Syrah ($22). This wine blends fruit from the Sandhill Estate Vineyard on Black Sage and the Vanessa Vineyard. The dark colour telegraphs the bold aromas and flavours of this meaty red. There is a hint of white pepper. 90. Sandhill 2016 “Small Lots” Syrah. ($N/A). Made with fruit from Sandhill Estate, this wine has an attractive core of luscious fruit (cherry, plum). The long ripe tannins give the wine a juicy texture and svelte finish. 92. Sandhill 2015 “Small Lots” Petit Verdot (Wine club only). The fruit is from the last vintage that Sandhill bought from the Phantom Creek Vineyard before it was sold. Only 200 cases were made. The wine, typical of the varietal, is dark and dense, with flavours of plum, fig, black coffee and dark chocolate. 93. Sandhill 2016 “Small Lots” Petit Verdot (N/A). This was a barrel sample. The fruit for this wine comes from Osprey Ridge, a vineyard not far south of Phantom Creek with a comparable terroir. Again, the wine is dense and black, with flavours of dark fruits, dark chocolate and a touch of slate on the finish. 94. Most B.C. wineries now produce sparkling wine. Steller’s Jay was the first quality traditional method sparkling wine. Fitzpatrick Family Vineyards is one of the most recent top-flight producers. Both make wines that rival Champagne, at slightly more affordable prices, if only because the domestic wines do not face the aggressive mark-up imposed on imported wines by the Liquor Control Board. Still, when the domestic wines are as good as these, consumers should take advantage of the bargains. I included Steller’s Jay in my 2017 book, Icon: Flagship Wines from British Columbia’s Best Wineries. Here is an excerpt. Steller’s Jay Brut, a Champagne-method sparkling wine, emerged from sparkling-wine trials begun in 1985 by Sumac Ridge Estate Winery founder Harry McWatters (right) and his winemaking team. That vintage was not released; it is said that Harry drank it all. He is a great lover of sparkling wine, often saying that it is what he drinks while deciding what wine to have for dinner. The first commercially available Steller’s Jay Brut was a blend of 1987 (85 percent) and 1985 (15 percent) wines. The cuvée was 70 percent Pinot Blanc, 15 percent Chardonnay, and 15 percent Pinot Noir. The wine, which was named in honour of B.C.’s official bird, was released in July 1989 after just two years on the lees. Most subsequent vintages have benefited from three years en tirage. The cuvée has always included Pinot Blanc, Chardonnay, and Pinot Noir. Pinot Blanc, while not a traditional sparkling wine varietal, contributes subtle fruitiness to the wine. The proportion was reduced to about 40 percent of the cuvée as more Chardonnay and Pinot Noir became available. The wine is balanced to finish crisp and dry. A typical blend has 10 to 12 grams of residual sugar and 7 to 9 grams of acidity per litre. The wine is made in the traditional style of Champagne. The wines for the cuvée are fermented to dryness. They are blended, then bottled with a dosage of sugar and yeast, undergoing a second fermentation in heavy bottles capable of containing six or so atmospheres of pressure. The time spent aging in bottle and on the yeast lees creates the fine bubbles and toasty aromas typical of fine sparkling wine. Over the wine’s first two decades, Steller’s Jay Brut grew in volume to about 7,000 cases a year, with a quality that has made it among the most awarded Canadian sparkling wines. As a result of its success, this former flagship of Sumac Ridge was promoted to a stand-alone brand (even if the wine is still made and sold at the Sumac Ridge winery). Fitzpatrick Family Vineyards was not in Icon because the winery had no wine on the market at the time the book was being written. Without doubt, the winery, which opened only last year, is destined to be one of B.C.’s iconic producers. Fitzpatrick Family Vineyards formerly was the Greata Ranch Vineyards Winery which the Fitzpatricks closed in 2014 after operating it for 10 years. They redeveloped the property, and renamed it, as an 8,000-case winery with underground cellars for 118,000 bottles of bubbly. Gordon Fitzpatrick, president of FFV, says that Greata Ranch never got the attention it deserved while he and his family operated CedarCreek Estate Winery. After they sold that property in 2013, they put their minds totally to reinventing Greata Ranch. Here are notes on five of B.C.’s leading sparkling wines. Fitzpatrick Fitz Brut 2015 ($32.99 for 1,834 cases). This is 61% Chardonnay, 39% Pinot Noir. The wine begins with aromas of brioche and citrus. The brioche, reflecting 24 months on the lees, is also part of the flavour palate, along with notes of apple and lemon. The fruitiness reflects the warm vintage; the 11.6% alcohol tells you that the fruit was picked early to preserve acidity. The texture is creamy but the finish is crisp. 92. Fitzpatrick Reserve Blanc de Blancs 2014 ($42.50 for 250 cases). This is 100% Chardonnay. The wine aged on the lees a minimum of 36 months. The wine is dry. It begins with aromas of brioche, leading to flavours of crisp green apple mingled with brioche and lemon. The mousse is lively and the finish is crisp. 93. Fitzpatrick Reserve Sparkling Rosé ($42.50 for 238 cases). This is 100% Pinot Noir. The wine presents with an appealing pink hue and, with its lively bubbles, looks quite festive. It has aromas and flavours of strawberry, raspberry and rhubarb. The texture is creamy while the finish is crisply refreshing. 92. Steller’s Jay Mountain Jay Brut 2015 ($22.99). This is the traditional blend of Pinot Noir, Chardonnay and Pinot Blanc. It begins with aromas of apples and citrus which are echoed on the palate, mingled with notes of brioche. The lively mousse lends the wine a creamy texture and a richness; but the finish is crisp and dry. 92. Steller’s Jay Sparkling Rosé NV ($26.99). The wine presents in the glass with a lovely rose petal hue. Once again, active bubbles make this wine festive. It has aromas of raspberry leading to flavours of pink grapefruit. The residual sugar lifts the aromas and flavours while lively acidity gives this delicious wine a crisp finish. 92. The Winemaker’s CUT label wines, formerly released along with the wines of Lunessence Winery & Vineyard in Summerland, now stand on their own. The label is owned by Michal and Martina Mosny. He is also the winemaker for Lunessence. The two wines under the Winemaker’s CUT label are small-lot, single vineyard wines. “Like a director’s cut, an edited version of a film that represents the director’s unique point of view, Winemaker’s CUT is the winemaker’s unique styling/blending of an Okanagan wine,” Michal explains in the brochure accompanying the current releases. The wines – a Sauvignon Blanc and a Syrah – are from the Deadman Lake Vineyard, midway between Oliver and Osoyoos. “The terrain is rich in minerals, sulphur and natural elements, in heavy concentration, that is exclusive to the Okanagan valley and evident in our wines,” Michal adds. In 2011, Michal and his wife, Martina, emigrated to the Okanagan. He set up a vineyard management company; that led to him being recruited in 2014 to manage Lunessence and its six-and-a-half-acre vineyard. Here, speakers among the vines play classical music. It also plays in the cellar. Michal would have you believe it benefits the wines. It certainly does them no harm. Here are notes on the releases. Winemaker’s CUT Sauvignon Blanc 2017 ($25 for 180 cases). This wine is fermented both in barrel and in stainless steel, with 20% aged in barrel. It begins with aromas of herbs and grapefruit. On the palate, there are luscious tropical flavours of grapefruit and grapefruit rind with a twist of lime and a backbone of minerals. 91. Winemaker’s CUT Syrah 2016 ($32 for 260 cases). This wine has acquired a smoky/toasted oak note after aging for 10 months in a variety of barrels. It also has aromas of plum, fig and pepper that are also reflected in the flavours. Long, ripe tannins give the wine a fullness on the palate while appropriate acidity adds freshness to the fruit. 92. It would not be a summer without major changes in winemakers and in ownership in the British Columbia wine industry. The shifting around of winemaking talent this year resembles free agency in the NHL, with wineries adding or replacing bench strength. The biggest ownership change was the recent announcement that Torsten and Kicki Allander, the founders of Foxtrot Vineyards, are retiring. The new owners of this Naramata Bench Pinot Noir specialist are Douglas Barzelay, an authority on the wines of Burgundy and co-author of a forthcoming book, Burgundy Vintages – A History from 1844, and Nathan Todd, an entrepreneur focused on wine with longstanding ties to the Okanagan Valley. A Manhattan lawyer, Barzelay is a long time expert Burgundy collector. A decade ago, he was one of the Burgundy collectors who blew the whistle on Rudy Kurniawan’s massive counterfeiting of rare old Burgundies. Todd is a former Calgarian. Interested in producing wine in the Okanagan, he and his family had already purchased an orchard adjacent to the seven-acre Foxtrot vineyard. It is being added to the property, with about 3.5 acres scheduled to be planted to vines next year. Foxtrot Winery, which opened in 2007, was launched after Torsten and Kicki bought an established Pinot Noir vineyard on the Naramata Bench in 2002. Torsten arranged to have another winery make the debut Foxtrot vintages in 2004 to determine whether a world-class Pinot Noir could be produced. The Foxtrot portfolio, which also includes Chardonnay, has one of the most stellar international reputations in the BC wine industry. The winery produces about 2,000 cases a year. There have been at last half a dozen winemaker changes or promotions so far this year, with more to come. In June, Andrew Peller Ltd. promoted Sandy Leier (right) to lead winemaker at Sandhill Wines, succeeding Howard Soon who retired last year. Born in Kelowna in 1978, she joined the Calona Vineyards winemaking team in 2006 after earning a chemistry degree at UBC Okanagan. Since then, she has been the lead winemaker for both the Calona and Wayne Gretzky Okanagan labels. Peller has owned Calona and Sandhill since 2005. The Calona name now has been phased out, replaced by Conviction Wines. In June, Nikki Callaway (left) moved from Quails’ Gate Estate winery to Laughing Stock Vineyards. The winemaking program included hands-on cellar work in French wineries. Upon graduating, she worked about five months in a French winemaking co-operative. Then she went to South Africa to do a crush there before returning to France for another crush at a Loire winery. She might have stayed in France but she could not get a work visa. So she returned to Canada in 2009 where Mission Hill offered her a four-month job. “It turned out to be four years,” she said later. In 2010, she moved to Quails’ Gate, where she had a major impact by enlarging the portfolio with an array of super-premium wines. Quails’ Gate has just announced that Ross Baker (left), who had been Nikki’s assistant since 2013, has been promoted to winemaker. Quails’ Gate also announced the appointment of Kailee Frasch in the role of Oenologist. Kailee started at the winery in 2016. She holds a Bachelor of Science in Microbiology from the University of British Columbia Okanagan, and a Certificate in Grape and Wine Technology from Brock University. 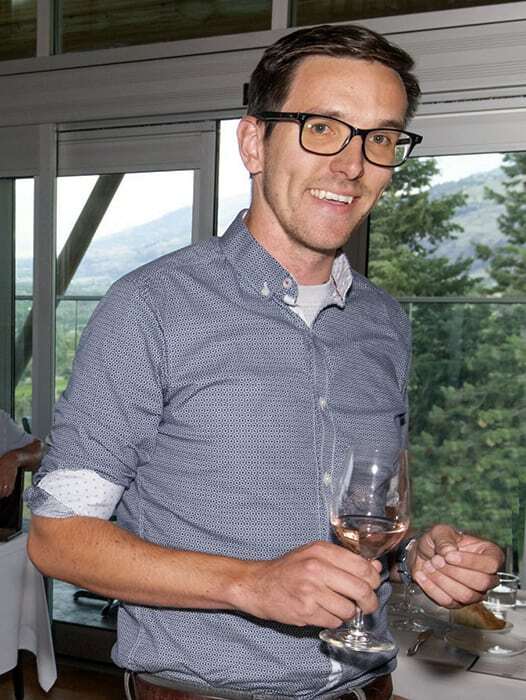 As well, Quails’ Gate is finalizing the appointment of a director of winemaking operations. That individual will oversee both Quails’ Gate and the Stewart family wineries in Sonoma. On the Naramata Bench, Jacqueline Kemp (left) moves from Moraine Vineyards to take over in September as the winemaker at Therapy Vineyards. Now 42, Jacq was born in New Zealand. Because her father was a New Zealand diplomat, she grew up in Europe, primarily in Belgium, and was exposed to European wine regions. At university in New Zealand, she did an honours degree in animal and human nutrition before recognizing that wine was her passion. In 2000 she got a winemaking degree at Lincoln University. Her career in New Zealand started with highly-regarded Sacred Hill Winery in Hawkes Bay and continued with the equally highly regarded Akarua Winery, a notable Pinot Noir specialist in the Central Otago region on New Zealand’s south island. She came to Canada in 2008 when Chris Carson, now her former husband, was recruited by Meyer Family Vineyards at Okanagan Falls. Initially busy raising her family, she also consulted with several wineries before joining Moraine in 2012. Moraine’s owners, Oleg and Svetlana Aristarkhov, have just announced that Dwight Sick (right), formerly of Stag’s Hollow Winery, is the new Moraine winemaker. He takes over just as Moraine completes its new 15,000-square-foot production facility. Born in Edson, Alberta, Dwight developed an interest in wine during 19 years as a flight attendant. After accepting an Air Canada retirement package, he came into the Okanagan wine industry in 2004 as a cellar hand at Township 7 Vineyards & Winery, quickly developing into one of the valley’s most accomplished winemakers. He joined Stag’s Hollow in 2008.
successor at Stag’s Hollow is Keira LeFranc (left). The winery offers this biographical note on her. “Keira LeFranc grew up in the Okanagan and got her start in the wine industry in our tasting room as her summer job in 2012. Showing an interest in the cellar side of things, after completing a science degree in 2013, she jumped at the opportunity to join our vintage team on the crush pad in 2013. In July, Graham Pierce (right), the winemaker at Black Hills Estate Winery since 2008, moved to Harry McWatters’s Time Estate Winery in Penticton. There, he teams with Nadine Allander, who was also promoted to winemaker from assistant winemaker. Born in Vancouver in 1971, Graham came into wine through an early career in food service. He came to the Okanagan to work at the Summerhill winery restaurant. When an interest in wine took precedence, he became a cellar hand at Mt. Boucherie Estate Winery. There, he was mentored by Dr. Alan Marks, then the winemaker, before immersing himself in winemaking courses at Okanagan University College. Graham came winemaker at Mt. Boucherie in 2003, moving to Black Hills five years later where he succeeded Senka Tennant. Nota Bene was already a cult wine when Graham took over there. Even so, several of his major winemaking decisions raised the bar further with Nota Bene. One was increasing the barrel-aging of the blend from one year to 18 months. Black Hills, which was acquired last year by Andrew Peller Ltd., expects to announce its new winemaker within a few weeks, capping a busy summer for winemaker appointments in British Columbia.